Select one of the center panels below to mount over the seam between the left and right halves of the 1911 Kit. Installs quickly and easily using Construction Adhesive, screws through pre-drilled holes and Spackling. 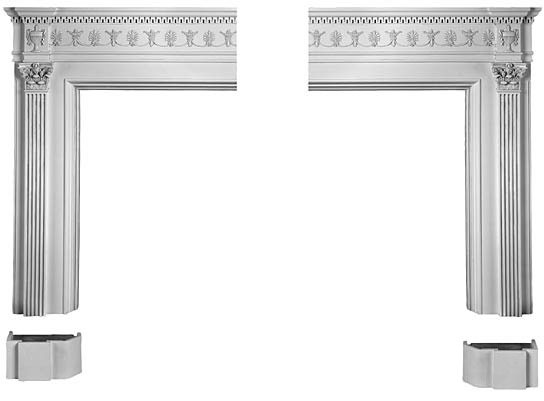 Supplied in 4 pieces: two mantel bases and two mantel halves. 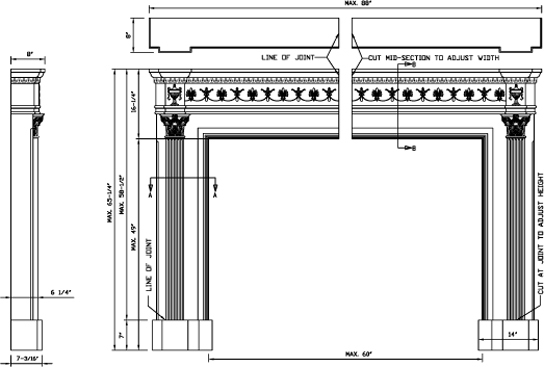 3/8" wide, 7/8" deep rabbet accomodates a stone or tile surround insert. Adjustable for Height and Width during installation using a standard hand saw.